The International Roerichs’ Heritage Preservation Committee expresses its strong protest against the violent and destructive actions of a number of law enforcement agencies of the Russian Federation, the Ministry of Culture of the Russian Federation and the State Museum of Oriental Art, that took place on 7-8 March 2017 under false pretenses, for the purpose of seizing property – the Roerichs’ heritage – from the International non-governmental organization “International Centre of the Roerichs” (ICR) established on the initiative of the outstanding artist, scientist, philosopher and public figure, the citizen of India, Svetoslav Roerich. 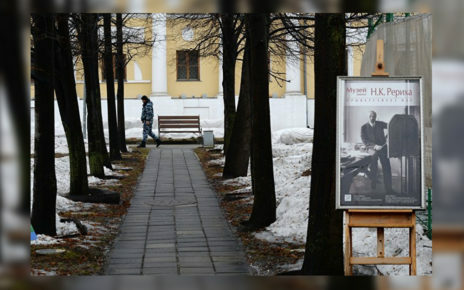 These events occurred in the center of Moscow, not far from the Kremlin, in the territory of the centuries old Lopoukhin Manor, which Svetoslav Roerich chose to host the non-governmental museum named after his great father. To this end, in 1990, he transferred a large part of the heritage of his parents – Helena and Nicholas Roerich – to his trusted person, Lyudmila Shaposhnikova. He provided all the necessary documents for this act and recommended Lyudmila Shaposhnikova to the post of Director of this museum. In peacetime, there were committed deliberately demonstrative repressive actions against a cultural institution – museum and its employees – with the active participation of the adviser of the minister of culture of the Russian Federation Kirill Rybak. Such an act of violence against any museum and, in particular, against a non-governmental museum, does not and cannot have any excuse. 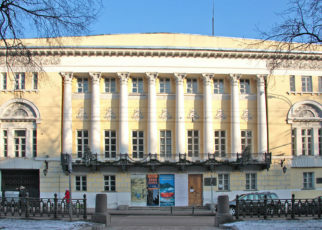 The international cultural community has long known the desire of the leadership of the Ministry of Culture of the Russian Federation to destroy the non-governmental Museum named after Nicholas Roerich of the International Centre of the Roerichs – the largest non-governmental museum in Russia. 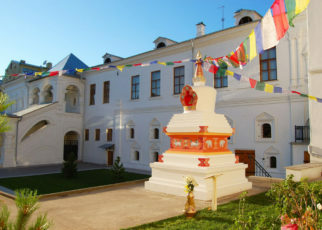 For this purpose, during the last four years there have been carried out numerous actions aimed at the illegal seizure of the Roerichs’ heritage belonging to the International Centre of the Roerichs and its eviction from the Lopoukhin Manor restored from ruins solely by the efforts of civil society and patrons of art, without a single penny from the government. In the course of the armed operation with the use of force on 7-8 March 2017, more than 200 art works by Nicholas and Svetoslav Roerich were withdrawn from the non-governmental ICR Museum and were then delivered to the State Museum of Oriental Art – with gross violations of the law, as well as of the museum standards for storage and transportation. The donation documents, including their copies, confirming the rights of the ICR to the art and other collections kept in the Museum named after Nicholas Roerich of the ICR were also seized. The law enforcement bodies illegally took out part of the archive of the International Centre of the Roerichs, other important documentation, various rarities and other objects. As it became known later, the coercive actions were taken by the armed specialized forces of the law enforcement agencies purportedly in the framework of the criminal investigation for the period 2010-2013 of the case of Master Bank, whose owner Boris Boulochnik was the Museum‘s patron until November 2013. At the same time, many art works of the Roerichs, father and son, not related to the investigation period, were seized. The documents of the Soviet Roerich Foundation of the 1990s not related to the above-mentioned investigation period, were seized as well. Priceless masterpieces of art were withdrawn from the Museum named after Nicholas Roerich of the ICR without the required by the law pre-approved list. The decision to seize this or that painting was made on the spot by the adviser to the minister of culture of the Russian Federation Kirill Rybak who gave the corresponding instructions to representatives of the law enforcement agencies. 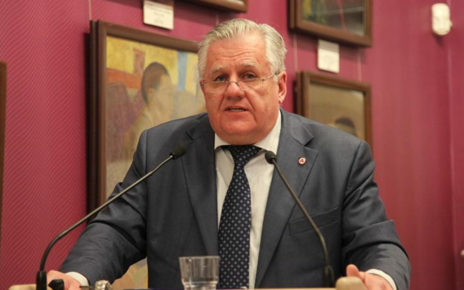 It should be emphasized that the paintings donated by the art patron Boris Boulochnik to the International Centre of the Roerichs are, according to the law, the property of the International Centre of the Roerichs. In a country governed by the rule of law, there is always a clear distinction between the property of the patron of art, on the one hand, and the property of the museum or other cultural institution that received a gift of art, on the other hand. These works of art were in the first place acquired legally and openly and have always been used for the benefit of society since they were donated to the Museum named after Nicholas Roerich of the ICR. Therefore, they should not be part of any criminal case. We consider their seizure to be an unlawful act, which deprives the Museum named after Nicholas Roerich of the ICR of the opportunity to demonstrate to the public the belonging to it by right art works. We condemn and protest against even a hint of the possible sale of the seized Roerichs paintings from auctions in favor of the supposedly deceived depositors of Master Bank, because the paintings are the legal property of the ICR and have always been accessible to the widest Russian and international public by way of the exposition of the Museum of the ICR in Moscow for the purposes of enjoyment and research. We would also recall that the fault of the art patron Boulochnik has not been proven yet and there is no court decision, therefore all declarations of his illegal activities run contrary to the well established for centuries now presumption of innocence. The non-governmental Museum named after Nicholas Roerich of the International Centre of the Roerichs is a world-class museum, it is a custodian of Russia’s national heritage. For a quarter of a century, a unique museum staff of Roerich connoisseurs has been created in the Museum. It works in accordance with the best professional international museum standards. 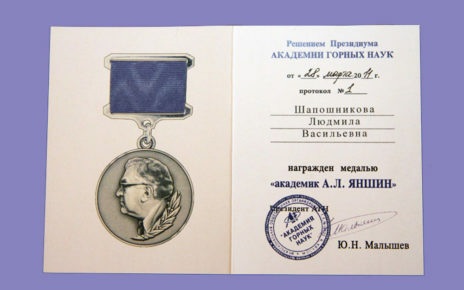 The highest Russian and international awards and prizes mark the work of the Museum. Owing to the International Centre of the Roerichs and its art patrons, over the last quarter of century, many works of art by Nicholas and Svetoslav Roerich were returned to Russia from abroad. At present the non-governmental Museum of the ICR has gathered the world’s largest collection of paintings and drawings of the Roerichs. We emphasize that these works of art have always and immediately become accessible to the wide public by way of the exhibition of the Museum named after Nicholas Roerich of the ICR. In comparison: none of the state museums in Russia possessing paintings of the Roerichs can deny that they still keep most of these art works in their store rooms. Therefore, the paintings and drawings of the Roerichs withdrawn from the Museum of the ICR on March 7-8 this year, most likely will be kept in the store rooms of the State Museum of Oriental Art. The people of Russia will not have the possibility of constant access to these masterpieces of world significance. It should be noted that during the coercive armed operation, for a long time, the leaders of the ICR and of the Museum, the custodians and caretakers were not admitted to the halls of the Museum. Someone disabled arbitrarily the alarm. 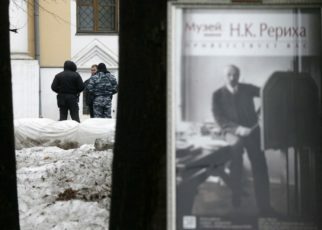 The representatives of the Ministry of Culture of the Russian Federation and of the special armed subdivisions of the Russian law enforcement agencies who captured the Museum were moving around in its halls wearing outer clothing, carrying bags and backpacks and taking food beside the masterpieces of world significance. Most of the museum staff were not admitted to their workplaces. 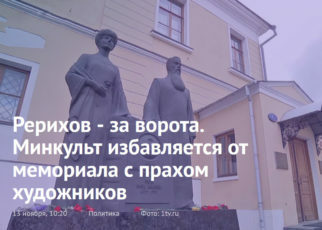 A number of the Museum employees who were already in the territory of the Lopoukhin Manor were subjected to psychological pressure and physical violence, they were deprived of food and water for almost twenty-four hours. All the events concerning the Roerichs’ heritage that belongs to the ICR seems to us a pre-planned operation aimed at taking it away from the civil society community by way of maximum use of executive power. This violates the rights of both citizens of Russia and citizens of other countries who have invested their funds and labour in the establishment and development of the Museum named after Nicholas Roerich of the ICR and thus in the preservation of the Roerichs’ heritage for the people of Russia, their descendants and the whole of humankind. The laws and the Constitution of Russia, which protect the property rights of non-governmental cultural organizations on an equal basis with other types of property, are violated. We note that the Roerichs heritage has a great cultural and evolutionary value, being part of the world cultural treasury. It has an enduring significance for all humanity, indicating the perspectives for the development of science, philosophy and society. Over time, its cultural and philosophical basis containing a new system of knowledge will be more and more in demand, because the world is facing new dangerous threats and disasters. The International Centre of the Roerichs is the world leader in the research, preservation and development of this unique heritage. It is precisely the ICR – and not any other organization bearing the name of the Roerichs – that conducts a large-scale cultural and educational work not only in Russia, but also on most of the continents. That is why the International Centre of the Roerichs was nominated for the Nobel Peace Prize in 2016. The heads of UNESCO and the UN highly appreciated the activities of the ICR and the importance of the Roerichs’ heritage. Ms. Irina Bokova, the Director-General of UNESCO, visited the non-governmental Museum named after Nicholas Roerich in Moscow, thereby confirming its importance for the international cultural community. The International Centre of the Roerichs and its Museum form a unique focus of culture that assembles artists, composers, writers, scientists, cosmonauts and young people around one great idea – of achieving Peace through Culture. The only thing they worship is beauty in art and life. Therefore, we have learned with great bewilderment and indignation that the Russian state media spread stories about sectarian orgies and preparation of terrorist acts allegedly held on the territory of the Museum and the Lopoukhin Manor. Thus, they pasted these unacceptable labels to the names of prominent figures of science, culture, and public figures who took an active part in the establishment and the development of the activities of the International Centre of the Roerichs, being members of its Board and the Board of Trustees of the Museum. Among these figures, we can name Yuly Vorontsov – an outstanding Russian diplomat, President of the ICR from 1999 to 2007, Lyudmila Shaposhnikova – a well-known Russian scholar, thinker and cultural figure, founder and Director-General of the Museum named after Nicholas Roerich of the ICR from 1990 to 2015, as well as the eminent statesman of Russia Evgeny Primakov, the cellist, conductor and public figure with world renown Mstislav Rostropovich, the multiple world chess champion Anatoly E. Karpov, and many others. We consider the use of direct slander by state institutions to be immoral. Moreover, this contradicts the international obligations of the Russian Federation, which, as a member state of UNESCO, is obliged to educate the public in respect for the cultural heritage, the cultural institutions and people of creativity. The manipulation of public consciousness aimed at the discredit of the International Centre of the Roerichs and its Museum – used by government officials clearly in their mercenary interests – will certainly turn against the country, since it represents violation of its international legal obligations with respect to its own cultural heritage. 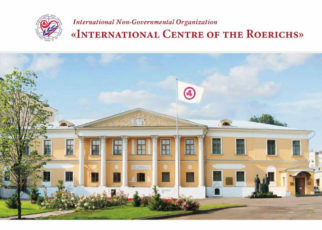 We affirm that the International Centre of the Roerichs, for the 26 years of its existence, has treasured, at the highest professional level, the heritage transferred to it by Svetoslav Roerich for the sake of the Russian people. The ICR has equally treasured those parts of the Roerichs heritage that were donated for its Museum by philanthropists. We state that the legacy left in the Moscow apartment of George Roerich was ransacked after his death, with the connivance of the authorities. 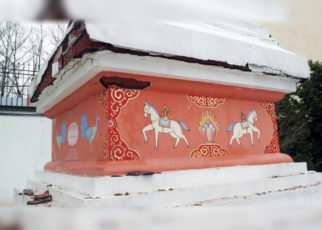 In addition, there is evidence that part of Svetoslav Roerich’s collection of Roerichs paintings intended for the exposition of the non-governmental Museum named after Nicholas Roerich of the ICR and illegally hold by the State Museum of Oriental Art for more than 25 years now, has been lost. The state refused to establish a state museum of Nicholas Roerich based on the Roerichs heritage brought by George Roerich to Russia. That is why his younger brother Svetoslav Roerich believed that only the public could create a museum and carefully preserve his gift of the Roerichs heritage which represents in fact Russian national treasure. The International Centre of the Roerichs, with all its activities, proved its right and capacity to maintain the Museum and all its exhibits intact, even in the most intolerable conditions of constant unscheduled government inspections, threats and slander, and in the absence of funding. The selfless devotion of the Museum staff, volunteers, of Russian and foreign helpers shall remain one of the most heroic pages in the history of world culture. There is no doubt that the participants of the predatory coercive action shall be marked by history among the destroyers, their names will become metonymies just like the name of Herostratus. 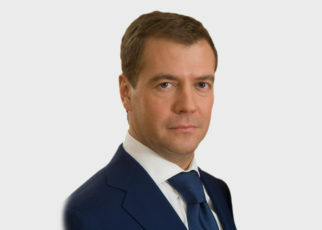 We call on the President of the Russian Federation as guarantor of the Constitution of the Russian Federation and legality, to do all the necessary to ensure that the unlawful actions of the leadership of the Russian Ministry of Culture, the State Museum of Oriental Art, as well as of all the other officials that took part in the illegal coercive activities at the non-governmental Museum named after Nicholas Roerich on March 7-8, 2017, receive a correct and comprehensive assessment. We appeal to the leadership of the Russian Federation – the legal successor of the USSR – to adhere strictly to the commitments made in relation to the Indian citizen Svetoslav Roerich who donated an invaluable cultural heritage of world significance to Russia. We insist that the long-term course of action of the leadership of the Ministry of Culture aimed at the destruction of the non-governmental Museum named after Nicholas Roerich of the International Centre of the Roerichs be immediately terminated. We believe that the Russian state needs to find a wise decision in order to return back everything that was seized from the non-governmental Museum of the ICR on March 7-8, 2017. We also look forward to the public apologies from the above-mentioned government bodies and the media that slandered the International Centre of the Roerichs, its leadership and employees. The Ministry of Culture of the Russian Federation declares its desire to establish a state Roerich museum. The Russian government’s duty to the donor George Roerich and the broad cultural community to establish such a museum has not been fulfilled for 57 years now. In view of this, the International Roerichs’ Heritage Preservation Committee will only welcome the appearance of a new state museum dedicated to the multi-faceted heritage of the Roerichs, provided that the non-governmental Museum of the ICR shall be unconditionally preserved. We are convinced that for the needs of the new Roerich state museum whose establishment is declared by the Ministry of Culture of the Russian Federation it is necessary to allocate – in Moscow, St. Petersburg or another city of Russia – a building, excluding the Lopoukhin Manor in Moscow. 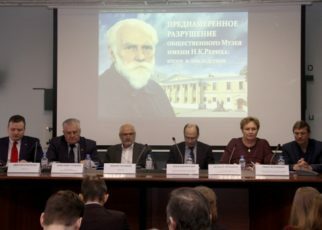 The persistent desire of the present leadership of the Ministry of Culture of the Russian Federation to establish a state Roerich museum precisely in the Lopoukhin Manor, and to do this on the basis of Svetoslav Roerich’s heritage that belongs, according to the will of Svetoslav Roerich, exclusively to the founded by him International Centre of the Roerichs, and not on the basis of George Roerich’s heritage that belongs to the Russian state and in its main part is hidden in the storerooms of state museums, – clearly shows that the leaders of this ministry are not, in principle, aimed at preserving, studying or popularizing the Roerichs’ heritage in Russia, but only at destroying the non-governmental Museum named after Nicholas Roerich of the ICR. 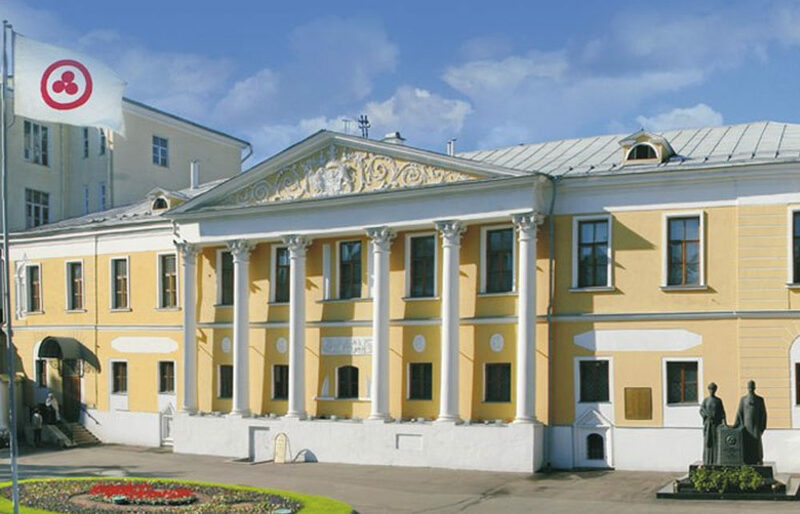 Given this, as well as the above-mentioned facts relating to the significant losses of priceless art works of the Roerichs in the hands of the state, we are of the opinion that this approach of the leadership of the Ministry of Culture of the Russian Federation engenders a threat to the preservation of the entire heritage of the Roerichs in Russia. The International Roerichs’ Heritage Preservation Committee, whose members are citizens of countries in Europe and Asia, including Russia, reserves the right to support the International Centre of the Roerichs by all legal means, including international legal means. At the same time, we express our sincere hope that the unique manifestation of the self-organization of civil society – the non-governmental Museum named after Nicholas Roerich of the International Centre of the Roerichs – shall be preserved at the Lopoukhin Manor, in the form in which it was established by Svetoslav Roerich and Lyudmila Shaposhnikova, and shall be protected from any encroachments in the future. This shall serve as a sign of true partnership between the state and the society as well as of the aim of preserving the Roerichs’ heritage in Russia.